Nope. This post won’t address the Pay on Scan issue. Nor does it contain specific financial or production advice to the remaining three biggest wholesalers. There is no “10 Point Plan!” demonstrating how our four largest national distributors can remain relevant. Are these the right steps to fix the business? My nose has been on the grindstone for much of the past four months and these thoughts are what smacked me upside the head yesterday afernoon after reflecting on what passed for a heavily revised and reviewed print order landed in my in-box. 1. All sales are local. 2. Sell local. Can you learn what sells in that store? If you can’t, why are you messing with that make order? If you don’t know, why are you servicing that store? 3. Promote the category. If publishers, national distributors and wholesalers can’t get together to promote our product, then who will? What reason are we giving readers to go out and “discover” our product? 4. Stop undercutting our own category with cheap subscriptions. 5. Stop whinging about digital. It’s here. Deal with it. Work with it. Learn it. 2a. Make the tools to discover what sells in that store readily available and CHEAP to acquire. Most publishers, mainline publishers at least, already give up 60% or more of their cover price to get to that store (Not including promotional dollars). They should be encouraged to understand their distribution and have input into how it is developed. After all, they know their readers. Their customers are the retailers customers. 2b. Make the tools that drive distribution more universal in nature and marketing driven. Everyone involved in distribution should be able, at a quick glance, to know rack size, number of checkouts, store demographics and store volume when they make a distribution decision. Where’ve I been? Very busy. And there are about 12 transcripts sitting in the edit que waiting to be edited. But for a solo practioner who’s also trying to learn a new facet of the business one can either work or write blog postings. Blogging is important. But I have to admit that paying work and reasonably satisfied customers takes precedent. I hope to be back up to speed with more topics as we move towards the end of the year. On a related front: I am intrigued with the hints we’ve received from media guru Bob Sacks and fellow consultant Luke Magerko. So far, they’ve revealed some pretty straightforward suggestions that daily practitioners like this writer and many of my colleagues attempt to practice. Hopefully there are more reveals that will hape this industry rethink, in a positive, sales growth oriented manner how we work. Because who in their right mind wants to work in and manage a declining industry? Why Does What Works, Work? While the phrase “Disruptive Technology” has been with us since the late 1990’s, I didn’t seriously think about it until I began my adventure with Twitter several years ago. All of a sudden, my morning “In the office not traveling” routine was tossed out of whack. How do I fit the now necessary “Advancing my Brand” on social media into the more mundane “Stuff that pays the bills”? To be fair, being on Twitter and here in Word Press has brought in a few paying jobs, but still. 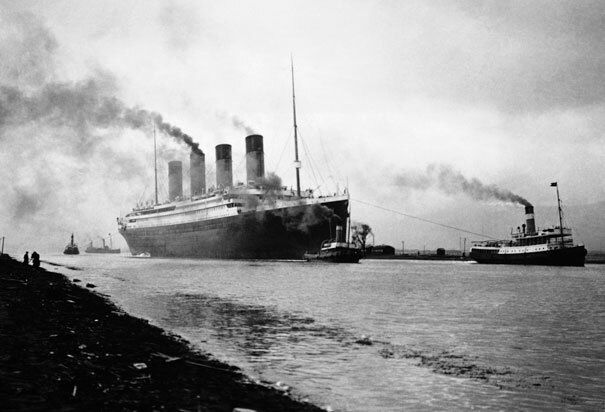 I got to thinking about “Disruptive Technology” today when a recent post from fellow Word Press blogger Laura of “The Well Prepared Mind” showed up in my in box. Laura writes about the digital book industry and in the post, she quotes Harvard Business Review writer Grant McCracken. In “Will Netflix Flourish Where Hollywood Failed” McCracken cites the amount of data Netflix now generates about their viewers and how the use of that data could lead them down some significantly wrong paths. Laura compared his warning to what could happen in the digital book business if data on when, how and what people were reading was suddenly used to try to tailor what kinds of books to produce. Read McCraken’s full post here for some insight into the entertainment industry and how that world is also being turned on it’s ear by new technologies. It’s nice to know we magazine folks are not going this alone. As she points out, you may have stopped reading a book because you were on the bus and needed to get off. That doesn’t mean you weren’t still thinking about the book. There’s a ton of data in our industry. And inexplicably to me, we give a lot of it away for free and without explanation or exposition. At one time, collecting it was a huge chore. As I pointed out in a previous post and more personally back in April of last year, our industry used to maintain large field forces dedicated to what was often the simple act of copying a wholesaler’s store level sales records. That is now so 1982. Consider great editing. 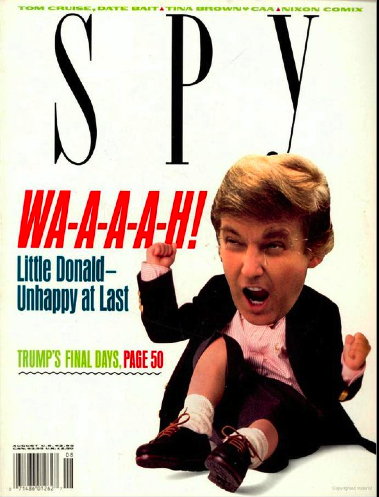 Do you remember the wonderful literary magazines from the 1980’s like Wig Wag and my personal favorite Spy Magazine? Only The Donald seemed to dislike the latter. But where are they now? They followed all the rules about great content. Spy’s demise made Donald Trump a happy man. Maybe the weather was too perfect. No one was shopping. For more than 10 years we have had access to both demographic data and store level sales data. We can sort it by zip code, chain, state, wholesaler, distribution center, depot, POS and almost anything else you can desire. We can compare to prior year, prior quarter, prior issue or multiple years. We can compare to red covers, blue covers, covers where the model is facing right. Yet single copy sales have declined during this period. Efficiencies have not improved. Has access to all of this data helped us? Or hindered us? Where we better off when we operated on “hunches”? Were we more efficient when Harry the Distribution Manager took a look at the sample, clacked through a few screens on his IBM 5151 and said, “Yeah, I like this. OK, give me 500 copies”? Personally, I think the data has helped. At least it’s helped me. But I also know that the data only tells me what happened, not why. And when I put a few hundred thousand copies of a periodical out onto the newsstand racks, I have no real way of knowing what caused each copy to sell and the rest to be recycled. This is a sales business, not an accounting business. I am neither an accountant nor a psychologist. I am not sure where all of this goes, but in this post audit period, Grant and Laura have given me something to consider. Many years ago, a client asked me to give a presentation on newsstand covers to his college level journalism class. For their final, they were divided into teams and had to create magazines. I was invited to talk about the world of circulation in general and the newsstand world in particular. I went through a pretty straightforward discussion of how product moves from printer to wholesaler to retailer, how the financing works and how cover images can impact sales. Lastly, I discussed my role in all of this and what national distributors were. A student raised his hand during the question and answer period. Score one for the kids. The past two months have been a long hard slog of budgeting, reporting, meeting, writing, re-writing, making calls, taking calls and yes, believe it or not, here we are well into the 21st century, making copies. What’s it all been about? Publishers still want to be on the newsstand. I’ve been working with several publishers who want expand their physical visibility and they want it to happen in the coming new year. We still have difficulty managing our distributions. Our remote, centralized way of managing order regulation takes a lot of local knowledge and instinct out of the equation. 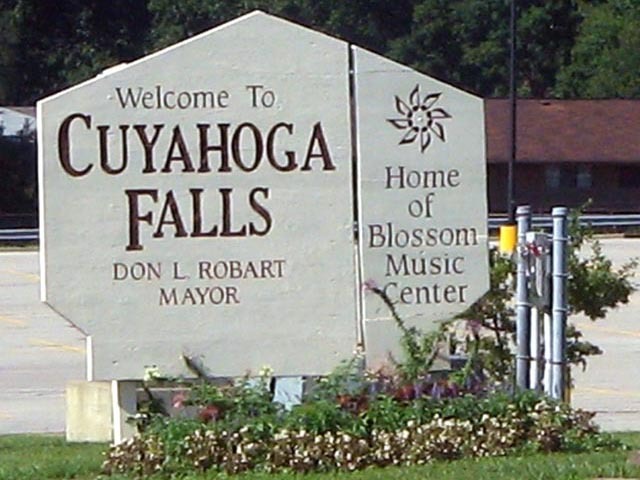 No matter how savvy the data is, now matter how good you are, no matter how well meaning, if you’ve never been to Cuyahoga Falls, Ohio and all you know about the stores there are the demographic keys and the rack size, well, you don’t know anything about Cuyahoga Falls, Ohio or the people who may buy magazines there. So who buys magazines in this town? But one interesting item made itself very apparent while working through all of the data I’ve been snowed under for the past sixty some odd days: The loss of Borders was not only very big, it is still being felt. Even now, as we compare issues where there was no Borders distribution in the prior year, and in some cases, where we tried to find alternative sources of distribution to replace that lost retailer, you can see and “feel” where the volume is not the same. Where the presence of the other bookstore chains and related retail expansion simply did not pick up the slack. On a related front, I am still surprised that our industry never made an overture to the independent bookstore market and tried to expand our presence there. While it’s a small market, would it hurt to try and pick up a few points of unit sales? 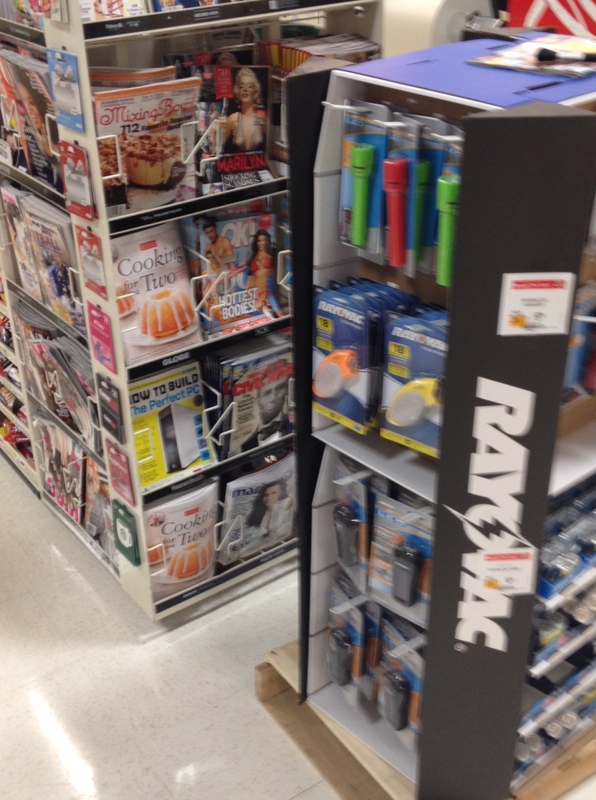 There’s been a long and worthwhile discussion about finding alternate retail markets for magazines: Beauty supply stores, craft stores, auto parts stores, dollar stores, outdoor gear and office supply stores. All of our major wholesalers have divisions dedicated to these markets and they all do a good job of locating, pitching and servicing these accounts. But from what I can see in the numbers, for many magazines, five copies in a beauty supply store simply does not take the place of more than 50 running feet of mainline space in a large format bookstore. There’s just no way around that. And it’s just one more thing on the long list of things our industry needs to address.